3 posts categorized "Simulated Diamonds"
The beauty and brilliance of diamonds has been admired throughout history. However, in past centuries their use was reserved strictly for royalty. Today, thanks to remarkable diamond substitutes like Cubic Zirconia, almost anyone can afford to dapper up their accessory collection with dazzling, eye-catching jewelry. Because Cubic Zirconia is the finest synthetic stone, it is virtually impossible to tell the difference between a diamond and a well-cut Cubic Zirconia without the assistance of magnification. Since it does not contain any of the impurities or flaws normally found in diamonds, Cubic Zirconia usually present more sparkle and clarity than a diamond. 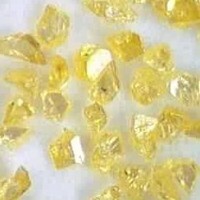 While they are not quite as hard as diamonds, they are still much harder than most other gemstones. All that glisters is not gold – and "precious" stones, including diamonds, rubies and sapphires, bought at overseas stalls and on the Internet may be anything but. New Zealand Jewellery Appraisers Society president Dennis Blacklaws says he has seen "well in excess of two to three dozen" fakes at his Lower Hutt diamond and gem laboratory in the past year and the problem appeared to be increasing. The warning follows the case of a Wellington man overcharged for a fake diamond. The man paid $3000 for an engagement ring, advertised as 18-carat white gold with a one-carat diamond, from an Internet auction site. The Australian seller provided a valuation certificate "which looked pretty correct", stating the ring was worth A$7500 (NZ$8090). But the ring turned out to be worth $2000. Though it was genuine white gold, the stone was synthetic moissanite.